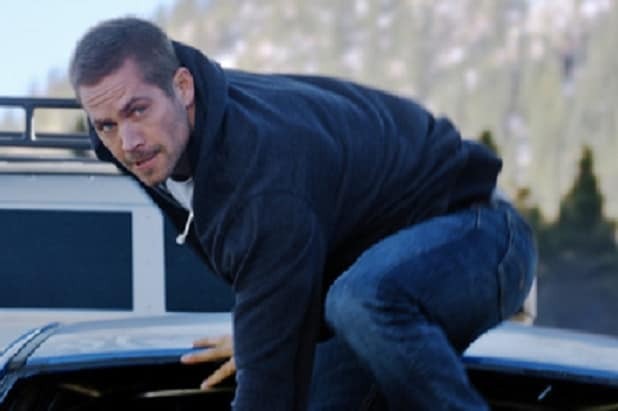 While Paul Walker’s loss is felt throughout “Furious 7,” even the toughest fans are getting a little teary-eyed in the movie’s final 10 minutes. “As you all know we lost someone very dear to us during the filming,” producer Neal Moritz said. “Paul was the most decent, thoughtful, caring human being I have ever met. Losing him was a blow to all of us. The emotional sendoff had many fans shedding tears. Walker and the driver of the car, Roger Rodas, died in a crash in Santa Clarita, Califonia, in November 2013. Walker had been attending a charity event for his organization Reach Out Worldwide. The posted speed limit in the area is 45 mph. However, according to the Los Angeles County Sheriff’s Department, which said the crash was the result of “unsafe speed,” the car was traveling between 80 and 93 mph when it collided with a power pole and several trees. The accident forced producers to push back the movie’s release date as well as use old footage and audio of Walker to complete the movie. Walker’s brothers Cody and Caleb were brought in as stand-ins.